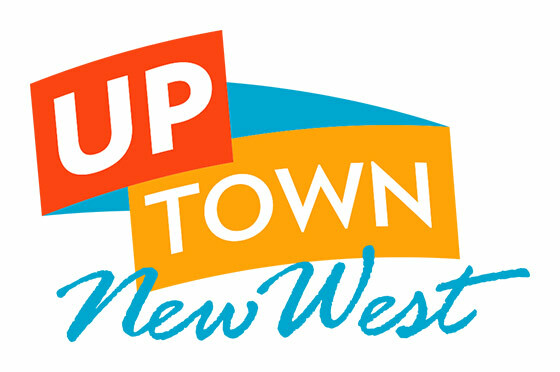 Uptown Unplugged is a weekly performing arts series presented in partnership with the Uptown New West Business Association and the Arts Council of New Westminster. Performances take place in various locations throughout Uptown on Saturdays and Sundays from noon to 2pm. Uptown Unplugged features talented musicians from throughout Metro Vancouver. The program takes place from June 2 – September 9, 2018. Contact music@acnw.ca for more information. Camina Bolinao will serenade Uptown on Saturday with his soulful sound! Sharing his Mexican culture, Monika Schwartzman is bringing her bilingual reportoire to Uptown New West on Sunday! This weekend Atley King is on the Westminster Centre Stage on Saturday, with his stylish Jazz arrangements as well as impressive improvisational material. And then on Sunday at Royal City Centre Jeff Neufeld will be returning with his ‘bluesey’ tunes! What’s that? You want even more live music? Well you’re in luck, because Pernell Reichert is a veteran when it comes to performing live. Then on Sunday at Royal City Centre, unique duo Nice Verdes is sure to get your foot tapping. Yowza! Summer is in full swing and we have OXLIP back to keep the sun shining! Sunday, jazz vocalist Laura Bower will seduce you into a place of tranquility. Don’t worry, it won’t hurt. It’s Canada Day weekend! Ranj Singh is performing at Westminster Centre with great sense of humour. You won’t wanna miss his unique voice and profound compositions. After, Leonard Pallerstein is going to rock your socks off with his amazing pop renditions and acoustic guitar style. This weekend, local favourite, Dougie Greig will take our stage with his powerful compositions and stellar vocals. Sunday, Pop icon Alexis Lynn is at Royal City Centre with her covers and songs. NWSS Music takes the stage Sunday at Westminster Centre with the Senior Jazz Band as well as several other student-lead groups. Sunday, OXLIP performs her own originals and acoustic music. This weekend we will be featuring jazz guitarist, Madeleine accompanied by Chad on bass at Westminster Centre on Saturday. On Sunday we will be featuring Ranj at Royal City Centre for some original folk music. This Saturday we are featuring the jazz stylings of Atley and Sam on guitar and saxophone from Capilano University. On Sunday we will be featuring Quayside voices for some spectacular acapella music live at Royal City Centre. It’s #NWCultureCrawl weekend! We are featuring both Barry Wilson and Jeff Neufeld, who have enormous busking experience among them. Saturday will have Barry at Westminster Centre, and Sunday will feature Jeff at Royal City Centre. Make sure you check out https://www.newwestculturalcrawl.com/home for more information on the Culture Crawl! This weekend we have the pleasure of bringing Jessica Barbour to the Uptown Stage on Saturday! On Sunday we will be having the guitar music of Leonard at Royal City Centre. You won’t wanna’ miss it! On Saturday we are featuring Pernell Reichert with his amazing solo music! Sunday is Allie Mcdonald with his unique musical stylings at Royal City Centre on Sunday! This weekend we are featuring Ranj Singh at Royal City Centre on Sunday for some refreshing acoustic music. The stunning Carmina Bolinao will be performing at Westminster Centre on Saturday! Followed by the excitingly-delicious ‘SWEETZ’ ensemble for a special acoustic set at Royal City Centre on Sunday! This Saturday we have the fantastic ‘Scared to be Seen’ acoustic act at Westminster Centre from 12-2pm! Sunday we will be featuring the lovely stylings of ‘Oxlip’ at Westminster Centre. And Julian Jayme is performing on Saturday at Royal City Centre: This weekend we have Emma Toth on Sunday from 12-2pm at Westminster Centre! This weekend we have Dougie Greig on Saturday from 12-2pm at the Uptown Parklet on Belmont Street! And then on Sunday at Westminster Centre we have Eddie Lam! This weekend we will be featuring New Westminster Secondary School’s Music Department. Several smaller ensembles will take our stage and present unique jazz, classical and pop stylings. Sunday will be featuring the folk-stylings of Shadowfax!